Come join Echotone producers at the hawk for a preview of the Echotone miniseries and for a screening of the feature film. Q and A afterwards, suggested donation $10 benefiting Austin Music People. 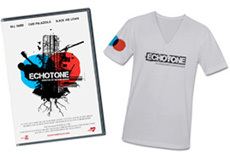 "THE DARK SIDE OF SXSW"
Check out our store to grab Echotone on DVD or HD Download.